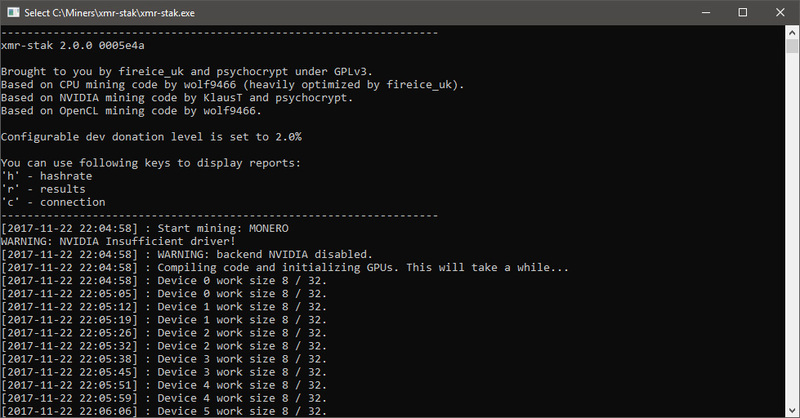 With Monero (XMR) forking in a day to te new CNv4 (CryptoNight R) algorithm there are more GPU miners getting ready and supporting the new algorithm and the latest XMR-Stak is no exception. 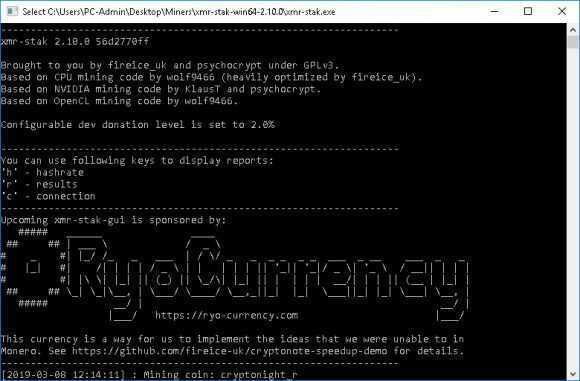 It might not be the first to support CryptoNight R as SRBMiner has been available for a while for AMD with CNv4 support. 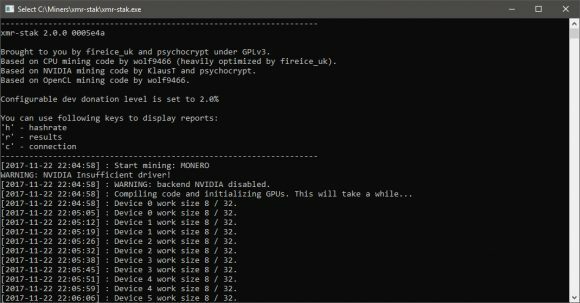 XMR-Stak 2.10.0 however does offer support not only for AMD GPUs, but also for Nvidia and even CPU miners, so it is your universal CryptoNight R miner. Performance wise in our initial tests XMR-Stak is just slightly faster in terms of hashrate compared to the latest SRBMiner 1.8.0, but the advantage is neglectable and the difference with the default developer fee eats away the additional hashrate you get. Of course it also supports number of other CryptoNight variants including the new cryptonight_v8_reversewaltz used by Graft with their recent fork and pretty much any other more popular CN variant out there as well. 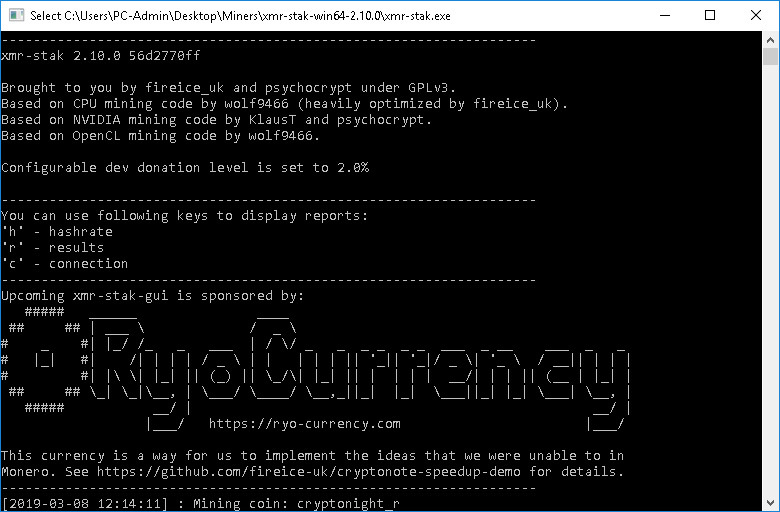 Do note however that the official binary release comes with a 2% development fee, you can compile the miner yourself from source (it is open source) with different or even no developer fee however should you decide to.